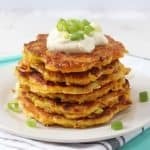 These Butternut Squash Fritters make a delicious and comforting lunch or dinner the whole family will love. 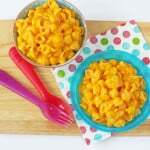 They’re also a brilliant way to get some veggies into your picky eaters! It’s that time of year where I become obsessed with anything Butternut Squash… soup, pasta, curries… even butternut squash fries! 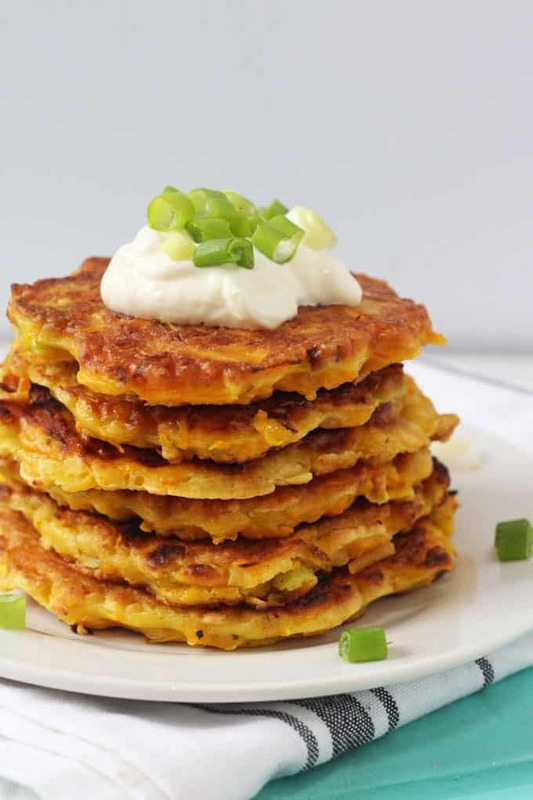 But my new obsession this Autumn has to be this really delicious Butternut Squash Fritters recipe. Crispy on the outside but soft on the inside. I think you’re going to love these too! 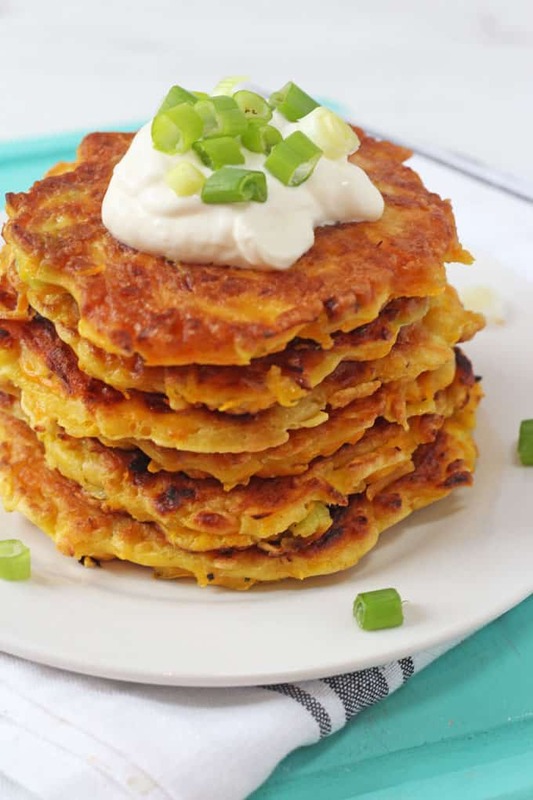 I am a big fan of fritters and regularly make these Pea & Sweetcorn Fritters for my kids. 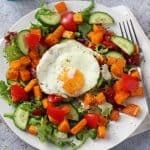 They are a great way to turn boring vegetables into a tasty and healthy meal using just a few simple ingredients that you probably already have at home. 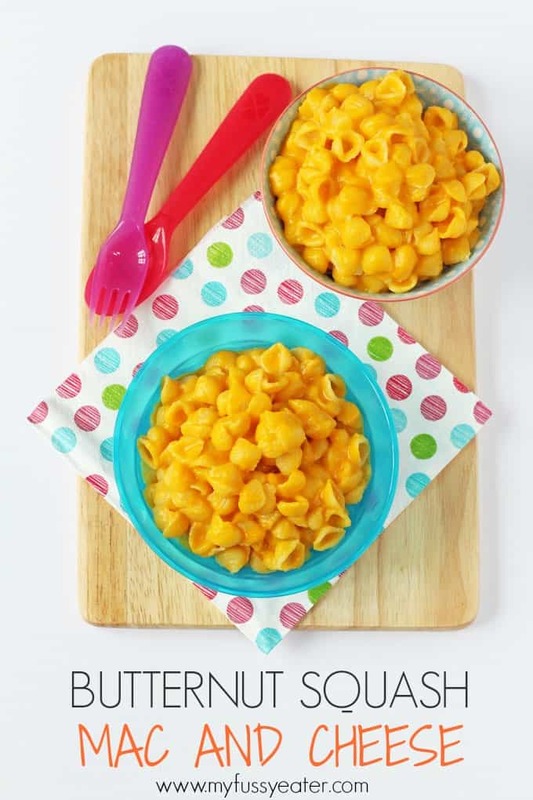 They are perfect for the whole family, from adults all the way down to weaning babies. They also make brilliant finger food for independent toddlers! 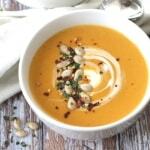 Butternut Squash makes a really great addition to your family’s diet. It contains no saturated fats or cholesterol and is a great source of dietary fibre. It is also super high in Vitamin A and also a very good source of many B Vitamins. To serve, I like to top these fritters with creme fraiche or for a fuller meal try adding a poached egg on top, absolutely delicious! Peel the butternut squash, chop it in half lengthways and remove the seeds. Grate the squash and weigh out 200g or 2 cups of it. Sieve the flour and baking powder into a large bowl. Add the eggs and milk and mix well. Stir in the grated butternut squash, spring onion, garlic and herbs and mix well. Heat a little oil in a frying pan and add in a heaped tablespoon of the fritter batter. Press down gently with a spatula and repeat until the frying pan is full. I was able to cook 4 fritters at a time in my frying pan but it will depend on the size of yours. I made a total of 8 fritters from the batter. Fry the fritters on a medium heat for approximately 3-4 minutes on either side, or until they are golden brown and cooked through. Serve immediately with a little creme fraiche or greek yogurt for dipping. Can theese be eaten cold? Looking for packed lunch ideas for a child that loves food but not sandwiches. Really good and love that they can be frozen too. Really delicious. Will definitely be making these again! do you think it would be okay to prepare the batter the night before and leave it in the fridge until the morning? That should be ok. Although I think it would be best to grate the butternut squash the next day. These are really great. What is the best way to reheat/cook them if you freeze them? Can these be frozen please? Yes. Best to freeze after they have been cooked.